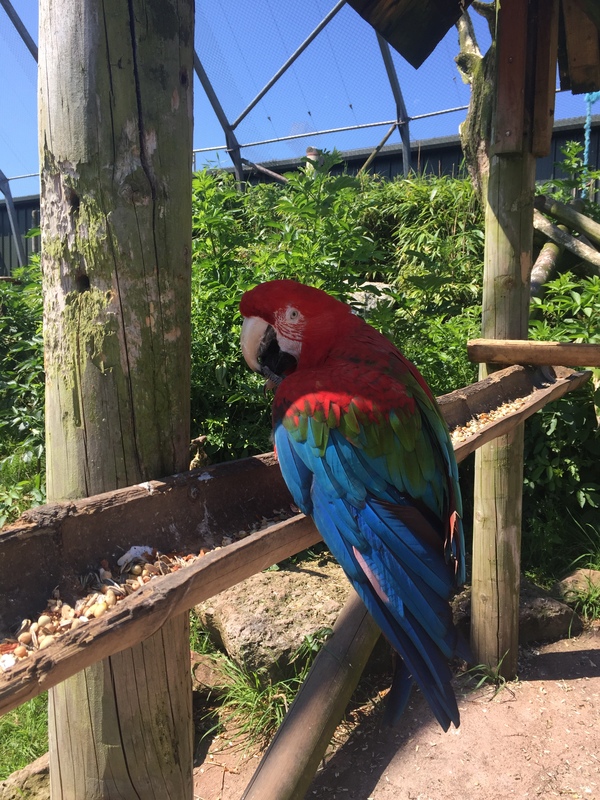 South Lakes Safari Zoo holds a special place in my heart when it comes to days out in South Lakeland in the English Lake District. Before becoming an expat and moving overseas, it was a regular feature of trips to the area. I’m not sure what made me like it so much but as a small zoo it was personal enough to feel like you had ‘discovered’ something whilst being big enough to feature some large enclosures with some very impressive animals. Having not visited the zoo for several years, I was surprised to learn of the enormous amount of trouble and controversy surrounding it recently. Indeed, when we posted our pictures of the trip on Facebook we were invariably met with comments like ‘aww, isn’t that the zoo that mistreated all those animals?’ and looking into it, this certainly seems to be the case. 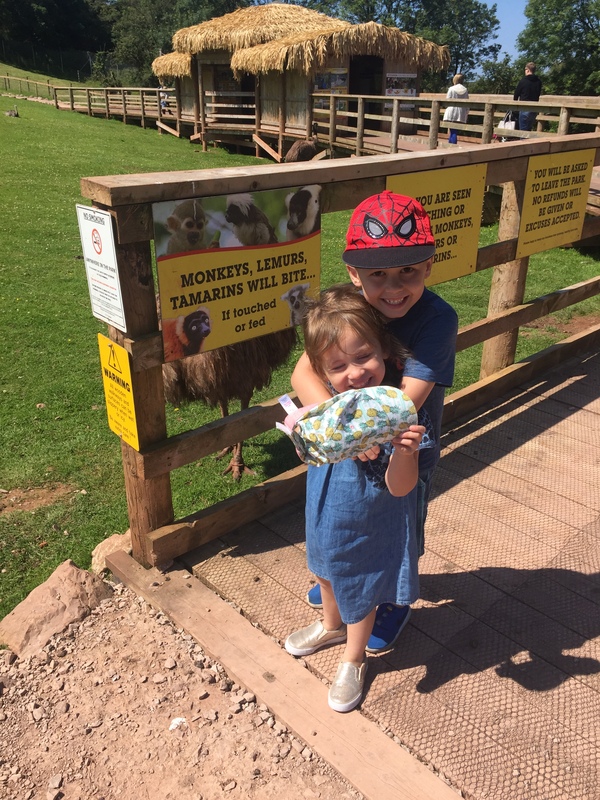 Our last visit to this zoo was 7 years ago, a year before our eldest was born, and in the interim it has been the subject of headlines like ‘500 animals die in 4 years at South Lakes Animal Park’ (BBC) and ‘You’d come in and think what’s dead or escaped? : inside Britain’s most controversial zoo’ (The Guardian). So what had gone so wrong at this once fantastic family attraction? The trouble seems to have started, at least in the public eye, in May 2013 when one of the zoo’s keepers was mauled to death by a Sumatran tiger due to health and safety failings at the park. This was accompanied by a GBP255,000 fine. But the failings at the zoo seem to have continued. There are reports of animals being killed inadvertently by the poison used to treat a rat infestation. Monkeys and lemurs were run down and killed by the zoo’s miniature train. A pair of leopards were eaten by their companions in their enclosure. A rhino was crushed to death by its partner. And various other animals were found dead in situations as bizarre as getting trapped behind a radiator and tangled in an electric fence. As a result of this, the UK public apparently began to clamour for the zoo to be shut down, petitions were signed and the zoo was even debated in the UK parliament. As a result, the park was allowed to stay open under emergency measures and management was handed to a new group, Cumbria Zoo Company Ltd. Which is where we are today. I should point out initially that I have not visited the zoo in some time and so a lot of the changes I noticed during our trip may have happened long before the new management arrived. Indeed, so much had changed that I spent a good five minutes trying to enter the zoo through the staff and deliveries entrance which had previously been the visitors car park and ticket office! On our previous visit, what was at the time called ‘South Lakes Wild Animal Park’ gave the impression that it was a small zoo that knew its limitations. It’s main feature was the safari on foot which allowed visitors to walk around a large enclosure with kangaroos, emus, lemurs and other small animals. It had a small miniature railway which ran about 100m down the main path from the entrance (and nowhere near the animals as far as I am aware) and one substantial enclosure which featured rhinos and giraffes together. They later added a pier to this enclosure to allow visitors to walk out further to view the animals. These were the parts of the zoo that I really enjoyed. There was more, but these are the bits that sold the zoo to me. The new ‘South Lakes Safari Zoo’ has a completely different feel to it. The new, purpose-built car park leads into a huge gift shop/restaurant/ticket office building which looks as if it has been thrown up in a hurry. It is of the ‘farm building’ variety which is all sheet metal and iron girders. The walkway to this building is flanked on all sides by rules; ‘No picnics: you will be ejected from the park’ ‘Do not feed the animals: you will be ejected from the park’ ‘No dogs: you will be ejected from the park’. I distinctly got the impression that this was somewhere that had been the subject of lawsuits recently and was now trying to cover all bases in the most obvious way possible. Undeniably, one thing the new zoo has going for it is just how reasonable it is. Currently, entrance for everybody is free. Adults, children, concessions, all free. This is set to run until September (although, to my understanding, it does not include school holidays) when prices change. Even then however, adults will be charged at GBP5 and children are free. The restaurant is reasonably priced too. We took advantage of the family pizza offer and ate 2 large pizzas, a cheese garlic bread and a large portion of fries for GBP20. In fact, so popular were these food offers, that we had to queue for 30 minutes in the Maki restaurant to get served and then waited another 45 minutes for the food to arrive at our table! Again, never have I seen a more reasonably priced gift shop. If we lived in the UK I have no doubt that we would have left struggling under the weight of the sheer amount of wooden carvings we had bought. I particularly liked a set of 3, life-size, wooden canoes that were on sale for GBP80. And I would have bought them too, if my wife hadn’t reminded me of our impending move to Qatar. Still reeling from the shock of actually being allowed to enter a zoo without paying, we proceeded through the ticket office and out into the zoo proper. The first thing you come across is an enormous, and very well constructed, children’s playground. 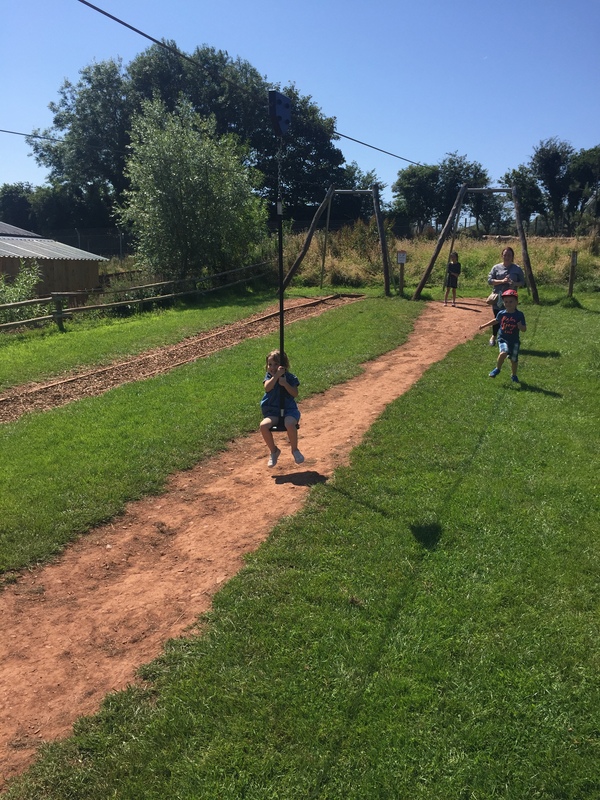 This made for a happy few minutes as we dragged our children away from the swings and the slides and entered into negotiations about allowing them to play on the way out after we had seen the animals. With this done, we headed up the path and towards the first enclosure. Since my last visit, all of the area from the ticket office to the tiger enclosure had been constructed and looked relatively new. My problem with the ‘new’ section however was that it no longer looked like a small zoo catering to family days out. The new section looked like an enormous city zoo, which was still in the process of being built. The rhino and giraffe enclosure, a previous favorite, had been moved and looked distinctly like somebody had said ‘lets stick a trench around this random piece of land and put the rhinos and giraffes here whilst we sort something better out’. Just beyond this enclosure was a new, and pretty impressive, station for the miniature railway. It was great. It looked just like an old African railway station. The problem was, the shop on the platform wasn’t open (neither were any of the drink or snack kiosks we passed during our visit) and there was a sign that said ‘Unfortunately, the miniature railway is not running today’. Further investigation led me to believe that this sign might be up indefinitely as the track for the railway had been ripped up and stacked neatly by the side of the station and the place it had occupied was filled with conspicuously dark tarmac. Lions & Tigers & Bears…oh my! But what of the animals? Since my last visit there were certainly more of them, especially in the ‘Carnivores’ section. I was pleased to see that this increase in big cat numbers, however, had also been accompanied by an increase in the size and quality of the enclosures. The snow leopards were in the enclosure I remembered the lions being in previously and the new lion enclosures were spacious and had ample viewing without being too stressful for the animals. The pygmy hippopotamus had also been moved to a very spacious enclosure. The walking safari seemed a lot bigger than I remembered it and the bear enclosure inside the walking safari was a nice addition. We got to see the bears being fed and the keeper expressed genuine affection towards the animals and for their part, the bears seemed to appreciate the attention. Importantly, the kids loved it. The enclosures were designed so that even our youngest could see most animals without too much fuss (unlike our previous trips to Chester Zoo, where I normally leave with aching arms and shoulders from all the lifting) and the size of park, even with the extra bits, means that little feet shouldn’t have too far to walk. 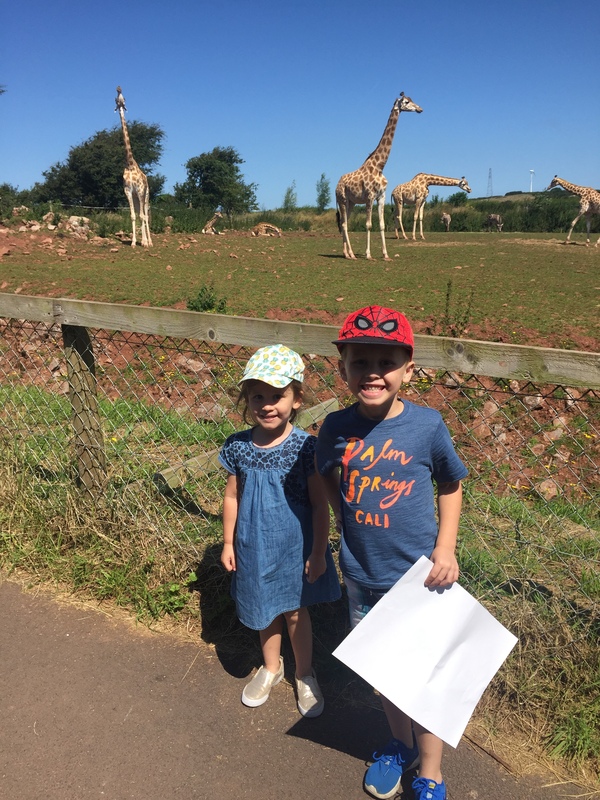 Would I recommend South Lakes Safari Zoo for a family day out? Absolutely. With incredibly reasonably prices and a lot to see, kids will love it even if it’s just as an excuse to eat ice cream and play on the enormous playground. As a zoo it was completely not as I remembered it and I very much got the impression that at some point in the recent past somebody had had big plans for the place. The new management company haven’t been around long enough to have made changes as substantial as the ones I noticed so my guess is that they are doing their best with what they have inherited. I would love to come back next year to see the snack kiosks open, the railway running and the rhino and giraffe enclosure actually resembling an enclosure. I hope we do. Until then, I hope their pricing achieves its objectives and gets people back to this much maligned park. And I hope, when it does, that they increase their prices and start to reinvest in what was, for a long time, my favorite zoo. I visited the zoo at the height of the newspaper headlines. I hadn’t been for a number of years myself, so I was filled with some trepidation. A number of the pens appeared to be empty, but it was obvious at how much work had been going on, trying to improve the facilities. I felt some of the newspaper headlines and furore on social media was quite unfair. I’ve no issue with those people being critical of the past, but it didn’t stop there. I do believe changes taking place are for the better and the new management need time to settle in before any criticism takes place. I’ll be hoping to visit again soon, to show my support. Thanks for commenting. I assume I missed the entire period of controversy as the Zoo never looked anything but well run in my previous visits. We met a couple of keepers on our recent visit and they seemed passionate and well informed as I’m sure the keepers always were. It’ll definitely be on our ‘to visit’ list next year!